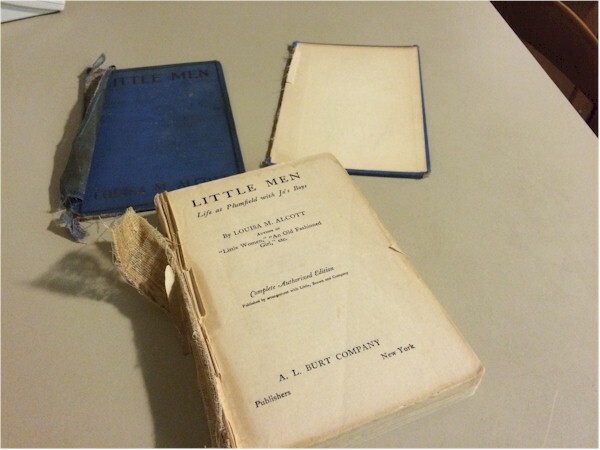 Original Content: The "Little Men" Reread Part I: Why? 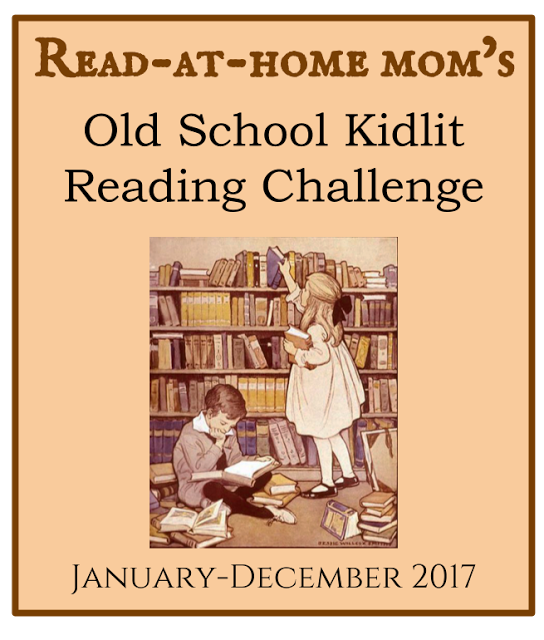 I wanted to take part in Read-at-Home-Mom's Old School Kid-lit Reading Challenge sometime this year. This month the Challenge's category is Books You Loved In Childhood. This was a 'fall into Gail's lap' sort of situation because my favorite book from childhood is Louisa May Alcott's Little Men, which is certainly old school, and I've been interested in rereading it for years. Thus I'm beginning what I hope will be a two-part (no more) Little Men Old School arc. our house copy until the last page fell out. By "house copy" I mean an edition published in 1913, which I think came from my mother's family, though she has no recollection of it. So I may not have to have read it very often to make that page drop out and disappear. As it turns out, I still have this copy, and it's what I read this month. As you can see, time has not been kind to it. The front cover was already close to coming off, but this last read toasted the back. Husband with beard. Two sons. You used to hear that all girls wanted to be Jo in Little Women. I wanted to be Jo in Little Men. To a very great, and bizarre, extent, I succeeded. I wrote books like Jo. Like Jo, I married a man who eventually grew a beard. (He isn't a professor, but his father was.) 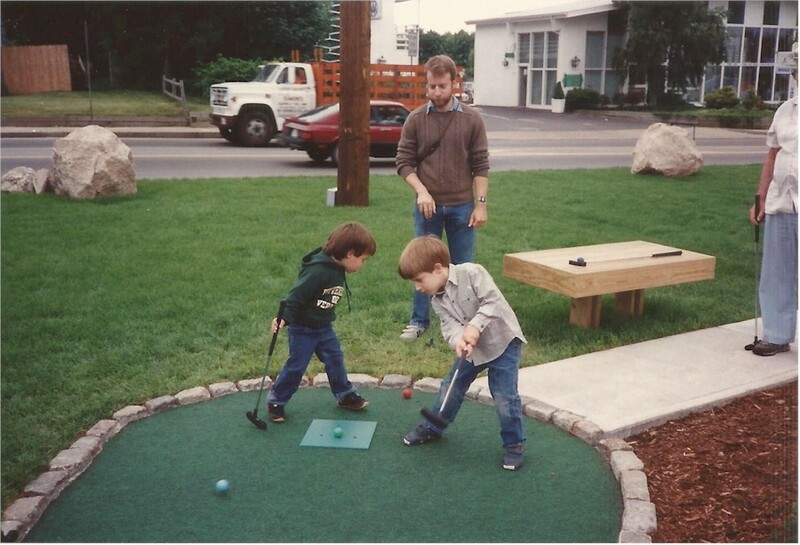 We had two sons. 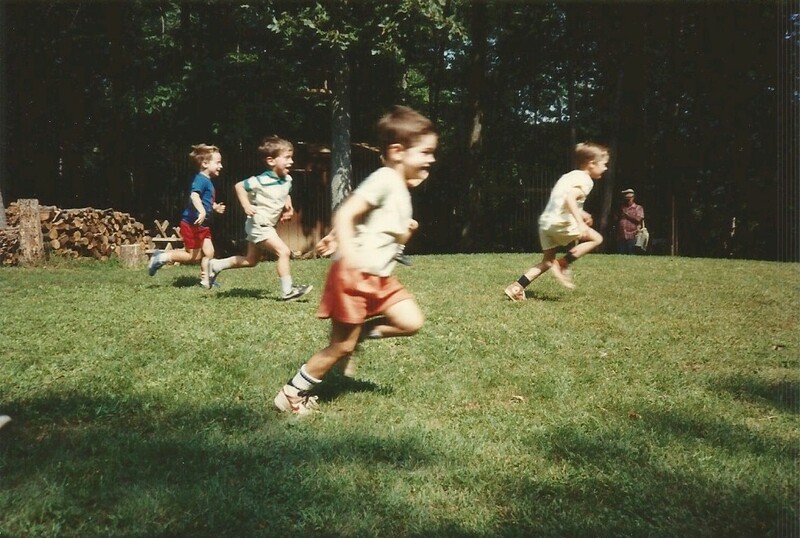 For years, my yard was full of boys. I mean, full of boys. And while I didn't run a school, I volunteered at our elementary school for probably eight or nine years, taught Sunday school for maybe eleven, and was an assistant taekwondo instructor for three. I will argue that my teaching time is comparable to Jo's because she spends a lot of time in Little Men hanging curtains and darning socks. Look at all the boys! At any rate, I felt I was one of the lucky few who had lived the dream. 'The 'Old-Fashioned Girl' is not intended as a perfect model, but as a possible improvement upon the Girl of the Period, who seems sorrowfully ignorant or ashamed of the good old fashions...'"
In OFG, Alcott romanticizes poverty and women as wives and mothers. Lots of stereotypes. 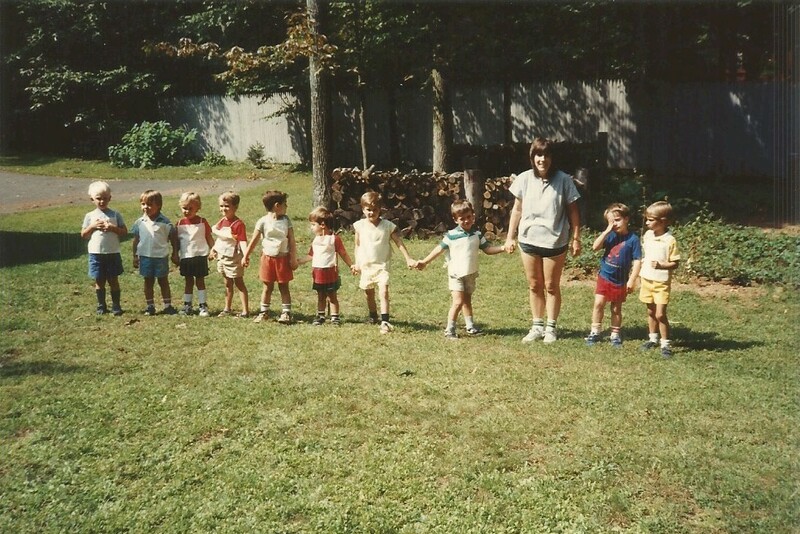 Old- Fashioned Girl left me wondering, Was Little Men, which I'd kind of based my life on, like this, too?